Click the Setup tab at the top of the screen to turn front and back covers on or off. 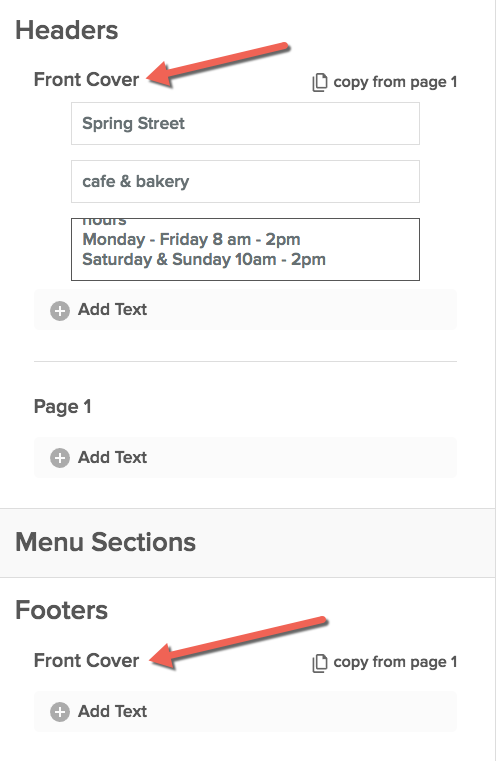 Click the Text tab to add headers and footers to the cover. 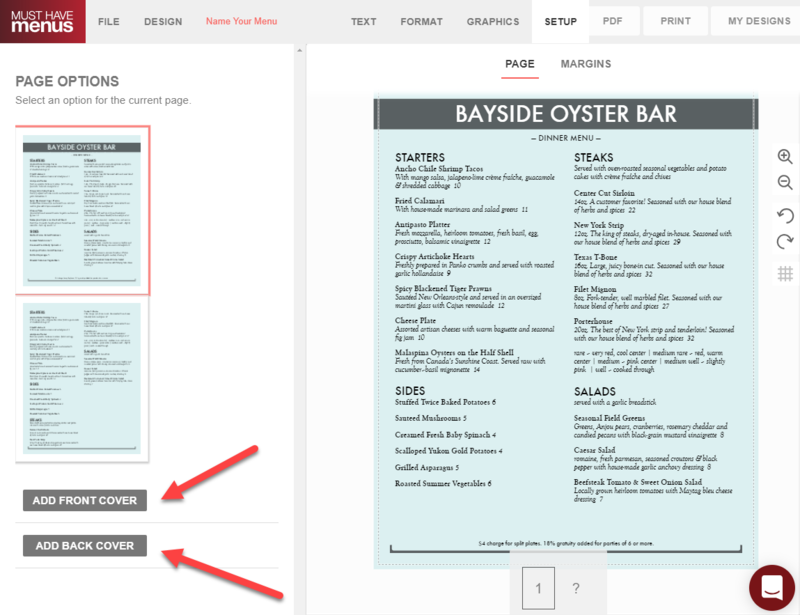 The font and spacing controls will allow you to style and position the headers on the menu as needed.